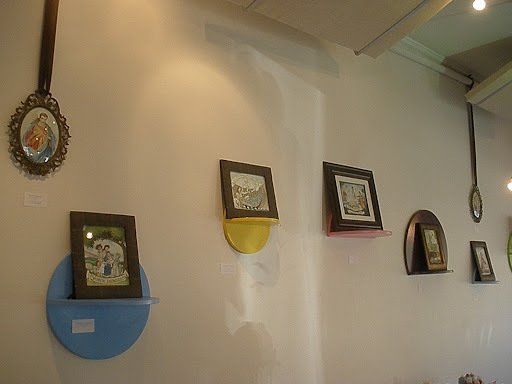 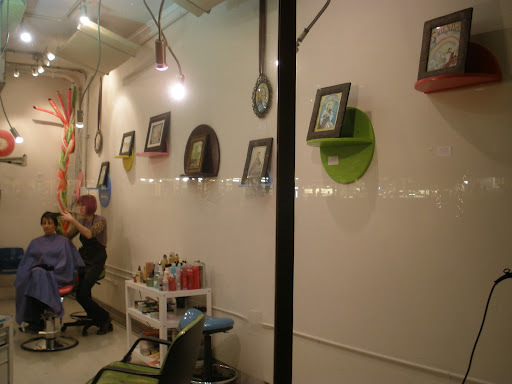 Well, my Sacred Mullet Art Show has finished. 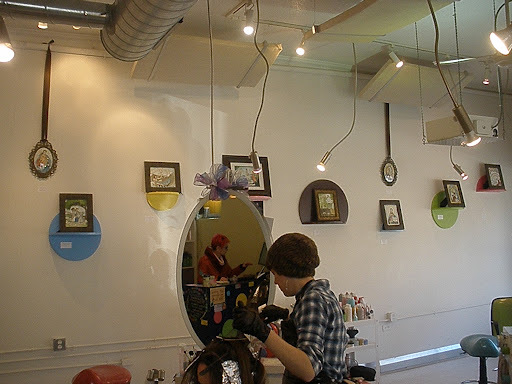 For those of you that didn’t make it out to the Beehive here is how the Sacred Mullets looked in the hair salon. Taken from outside, a night at the Beehive.